Brewer bets on innovation to meet changing consumer needs and win in an unpredictable regulatory environment. Not many companies in the food and beverage space in Africa can boast of nearly 100 years of existence. Not so East African Breweries Ltd.
Having started operations at the end of the First World War in 1922, the brewer has been a constant in Kenya’s beer scene and a pioneer in many ways in the brewing industry in Eastern Africa over the decades. However, if you are to attend a meeting at any of the offices of East Africa’s largest brewing company, be it in Nairobi, Kampala or Dar es Salaam, you will most likely hear two words: innovation and regulation. For the brewer of the famous Tusker lager, the fact that it has been operating since 1922 counts for little if the company’s struggle with an unpredictable tax and policy environment, changing consumer tastes, and increasing competition stand on its way to continue being the leading brewer in the region – and innovation sits at the top of its priorities to remain ahead of these challenges. With a new Group Managing Director, Andrew Cowan, joining in July 2016, to steer the company forward after the end of the 3-year term of former Group MD, Charles Ireland, Cowan has his work cut out, considering the major competitors of EABL are now owned by the world’s biggest brewer, AB InBev. Cowan who has been with Diageo, the majority shareholder in EABL since 2008, has joined EABL from being head of Diageo Great Britain. With brewing operations in the three key East African countries, Kenya, Uganda and Tanzania, and operations in Rwanda, South Sudan and Eastern Democratic Republic of Congo (DRC), EABL has been resilient in its quest to hold onto the beer market in its biggest market, Kenya, and continue to grab market share from its largest competitors in the region, former SABMiller-owned breweries, now owned by AB InBev. In its latest results for the half-year ended 31 December 2016, volume increased to 6.1 million to 5.8 million equivalent units. Net sales was reported at KSH 35.2 billion (approx. US$350 m), roughly ahead of its full year 2016 financial results, where the brewer reported net sales of KSH 63.3 billion (US$633 m) and a massive 25% growth in volume, following a remission of excise duty on its Senator keg brand by the government of Kenya. But the brewer’s brilliant volume growth were shadowed by foreign exchange losses from its regional operations that shaved off the 16% increase in turnover in Kenya, to reflect a flat year-on-year net sales performance for 2016. However, profit after tax (PAT) rose by 7% to KSH 10.3 billion (US$100m), on the back of profits from its sale of its stake in Central Glass Industries to Consol of South Africa, with PAT from continuing operations down 16%. Regional conflicts in Eastern Africa and the larger Great Lakes region continue to impact the performance of EABL. EABLi, the subsidiary responsible for the brewer’s business into the regional market away from the mainstream Kenya, Uganda and Tanzania businesses, has seen its contribution to the group fall from as much as 11% a few years to 0% in the half-year to 31 December, 2016, mainly driven by the conflict-torn Southern Sudan, where the company has been forced to scale down operations and sales, maintaining a small, strategic position in the country. The effect of the decline in regional operations has increased Kenya’s contribution to the company’s performance to 74% as at the end of 2016, from 61% at the end of the 2015 financial year, a huge increase. In 2015, Uganda contributed 18%, Tanzania 11% and EABLi 10%. By 31 December 2016, the ratios had Uganda’s contribution declining slightly to 17%, Tanzania to 9%, with EABLi reporting an insignificant figure. The company has therefore relied on Kenya, where it faces regulatory headwinds to grow its business. Kenya reported zero growth in net sales in the latest financial report mainly due to a decline in premium and mainstream beers, which was offset by positive growth along the entire spirits business. Beyond Kenya, headwinds brought by declining consumer demand in the region, especially in Tanzania, despite general economic growth above 5% have impacted the brewery in its quest to meet its aggressive growth targets, especially in its mainstream beer market, where Tusker (Kenya), Bell (Uganda) and Serengeti (Tanzania) brands seek to maintain their positions in the respective countries. Uganda has of late been a shining light, growing its net sales 7% in constant terms in the six months to end of December 2016, mainly driven by good performance from emerging beer and spirits. From the famous Mututho Law that regulated drinking hours in local beer joints among other measures, to the banning of packaging of spirits in plastic packaging, restricting packaging to at least 200 ml, to a country-wide exercise to rid the country of illegal drinks in 2016, to abrupt increases in excise duty, the brewer has been forced to contend with changes to its operations over the years, many times impacting its operations and performance. Recently, a legislator event suggested that the brewer should be compelled to take insurance cover for all the final consumers of its beer! 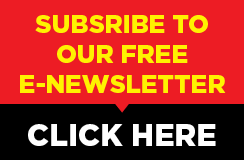 Writing in a local newspaper in October 2016, Jane Karuku, the CEO of Kenya Breweries Ltd, the Kenyan operations of the brewer, lamented the lack of predictability in the taxation environment in Kenya. Jane asked the government to have a more balanced tax system, instead of relying on ‘sin tax’ to meet ambitious tax collection targets. “There is a lot to be done to ensure the Gross Domestic Product (GDP) achieves double digit growth by 2030 as is targeted. We need to sustainably expand our tax revenue collection by widening the tax bracket rather than overburdening certain sectors such as alcohol,” she said. “There has been four major excise duty increases affecting bottled beer volumes in the last five years, with the most aggressive one taking effect in December 2015 – a 43 percent rise in duty. This was the highest excise duty increase in Africa and considering the prevailing inflationary pressure in the economy, we still experienced a 5 percent increase in volume,” the new CEO, Andrew Cowan, said at his first financial results presentation for the half-year ending 31 December, 2016. The effect of this latest increase especially caused a strain to the business, as beer prices went up by KSh 20 per bottle, instead of the regular KSh 10, hitting consumer demand quite drastically and even providing retailers with an opportunity to overcharge customers way beyond the new recommended prices, said Cowan. In the half-year of 2016, premium (including Guinness and Tusker Malt) and mainstream (Tusker) beers continued to decline as a result of the excise tax increase, registering 13% and 7% reduction respectively. Emerging brands Senator and Balozi reported a 10% increase. The brewer, which is set to celebrate 100 years in some 5 years, has of late relied on innovation – be it packaging changes or improvements, reformulations, flavor extensions, and entirely new products – to meet the challenges of a tough regulatory environment, changing consumers needs driven by millennials and to face off its competitors. “We are committed to innovation and we are glad that all the three business units are showing up in that regard,” says the MD. Packaging improvements have been initiated in the last few years in the mainstream Tusker, Pilsner, Serengeti, Bell and other brands to improve visibility on the shelves, dropping the short-neck ‘Euro’ bottles for long-neck bottles. In Kenya, the brewer has recently launched Tusker Cider, a cider brand that comes in a 500 ml clear glass pack, seeking to meet both the discerning and value-conscious drinker. 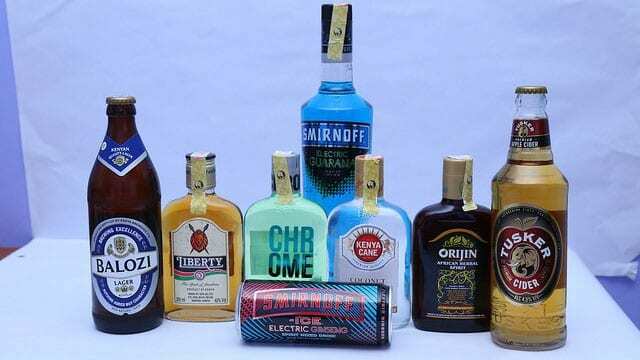 It has also extended its range of ready-to-drink (RTD) spirit blends with the addition of Smirnoff Ice Guarana, Smirnoff Ice Electric Ginseng and Smirnoff Electric Guarana spirit drink, a potent 35% alcohol by volume product, but which is easy to drink, despite the high alcohol content. In Uganda, Ngule, an entry-level brand that seeks to identify itself with the populous Buganda Kingdom was introduced last year, delivering a 6% market share in the first six months of release. Bell Black, a modern version of the mainstream Bell Lager has also been unveiled to meet rising demand by Millenials, with a higher level of alcohol. In Tanzania, Serengeti Lager has been given a new lease of life, while a reformulated Pilsner has been introduced at a 20% lower price point, taking 6.8% of the market share in the market in about six months. New product innovations continue to drive the company’s performance. In the half year to 31 December 2016, new products including Kenya Cane and Tusker Cider grew by 20% in Kenya, new Bell Black and Ngule grew 31% in Uganda and in Tanzania Pilsner and a rejuvenated Serengeti grew 35% according to EABL. According to Cowan, there is further room for innovation to play a much bigger role in the company’s performance. Taking the case of Tusker, he says that the brand is well developed (various packaging options, price points, liquid formats) and is a jewel in the crown of EABL. However, Bell and Serengeti are strong in their markets, but haven’t had brand development like Tusker to tap a broader footprint of consumers in their respective markets. In spirits, innovation is fairly undeveloped in East Africa, Cowan says. Apart from Senator keg, the brewer has managed to offset the fall in bottled beer volumes due to the increasing importance of spirits to its bottom line. “There is a trend towards consumers enjoying a wider repertoire of products. While historically, consumers would have a beer or a glass of wine, we see that consumers are interested in drinking different drinks on different occasions, for different reasons. That has really accelerated our spirits business,” notes Cowan. With a double-digit growth in spirits business in Kenya during the 2016 financial year, Cowan is convinced that more investments and innovations in the category will accelerate the brewer’s ambitions to grow, even in a tough environment. In Uganda, a Scotch whisky variety VAT 69 doubled in sales in the half year. “Our marketing team has done a bit more work in recognizing that whisky is way more on trend, way hotter and way more aspirational, so you can be sure that we shall be doubling down on our whisky ambition in H2 and into the future,” the CEO reveals. 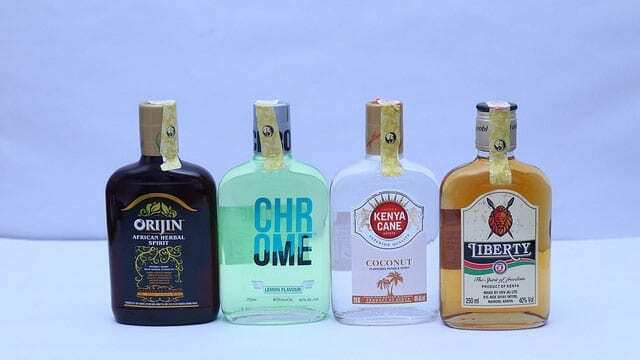 Reserve brands like Ciroc and premium brands Johnny Walker and Smirnoff both grew 7% during H1, while mainstream spirits led by Kenya Cane and Uganda Waragi grew a massive 31%. Kenya Cane, the biggest spirits brand in Kenya, continues to grow in the country, while Johnnie Walker Red had a fantastic half-year, growing 27%. In Tanzania, reserve brands grew well, from low volumes. According to Cowan, spirits have the potential of being 2 or 3 times the current volumes without much innovation, just making it available at the right price points. Going into the second half of its financial year and into the near future, the company has its eyes set on a number of priority areas: accelerate spirits volume momentum; bringing more consumers to its bottled beer; driving price advocacy; improving productivity; fast-tracking capacity investments and developing its commercial capabilities. Having spent KSh 1.8 billion on capital expenditure in H1 to increase capacity, improve efficiency, quality and safety of its operations, the business will double the figure to KSH 3.5 billion. Even with the large beer (both bottled and keg) business, spirits is at the top of the priorities at EABL. The company will be doubling up on its spirits ambitions in H2, considering that all the three business units have little capacity to spare and are running behind market demand, says Cowan. Significant investments in capacity are planned for the three business units to increase their spirits capacity. The company will install a new spirits line at its Nairobi brewery, and transfer the older line to Tanzania to improve capacity. Capacity improvements are also planned in Uganda. In the beer market, EABL is investing to improve the Senator keg capacity by an extra 1 million hectoliters (100 million litres), equivalent to 300 million mugs, by improving the capacity of keg rackers that have over the years limited the brewer’s capacity to deliver more Senator to the market, despite having packaging capacity. As the tough year of the excise tax increase in Kenya comes to an end, Cowan says that they will be looking to rejuvenate their mainstream beer brands by recruiting and retaining old consumers, and are positive bottled beer will grow into the year, having grown 1% in December 2016. “In H2, expect to see a much more vibrant, progressive representation of Tusker, innovations on Bell and innovations and new media on Serengeti brands,” he says. In Tanzania, beer capacity is all taken up at the Dar es Salaam plant, so the company plans to install a Mash Tun at the facility to improve brewing capacity. In Kenya, brewing capacity is also full, with investments planned to build more brewing capacity. One challenge that EABL will continue to work on, especially in Kenya, is how to work with retailers to get the best price to charge consumers so as to deliver the best margin and volume, to make beer more affordable to consumers. The regional business is an important driver into the future for EABL. 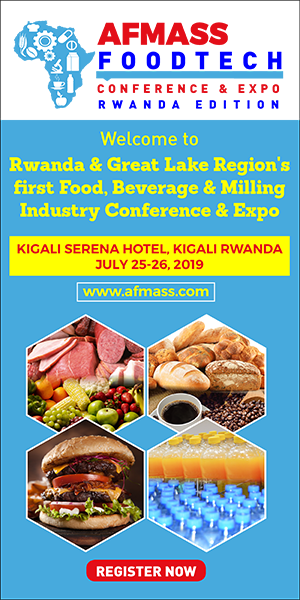 With the challenges in the Great Lakes region, Uganda and Tanzania have become the critical markets to grab market share and grow. “Uganda has done exceptionally well. We have a new MD in Uganda making an enormous difference. He has shifted the business away to a more visceral measurement of focus and score carding on execution of the strategy. So we have more products, being distributed to more outlets with more visible pricing that have made a lot more difference. There is a lot more to come from Uganda, the team has a lot of ideas on how to build the portfolio going forward,” Cowan says. In Tanzania, the company has faced challenges with consumer spending, despite taking a 20% market share. “We have seen some good GDP growth of 6-7% but its not just getting through to consumer spending. We have had to be agile in how we reach consumers. The key to succeeding in Tanzania is to have the consumer insight, have the idea and quickly get to execution before the competition can respond, Cowan reveals. The company has also finished a trade census across the country and carried out a profitability exercise for the three breweries it operates with the intention of formulating different investment strategies for each region. As Cowan settles into the Eastern African business, he is quite aware of the competitive environment that EABL faces. With the number of outlets stocking competing brands from AB InBev, Heineken, Carslberg, Skol and other brands increasing in the region, the brewer is aware that they have to up their game to continue growing. 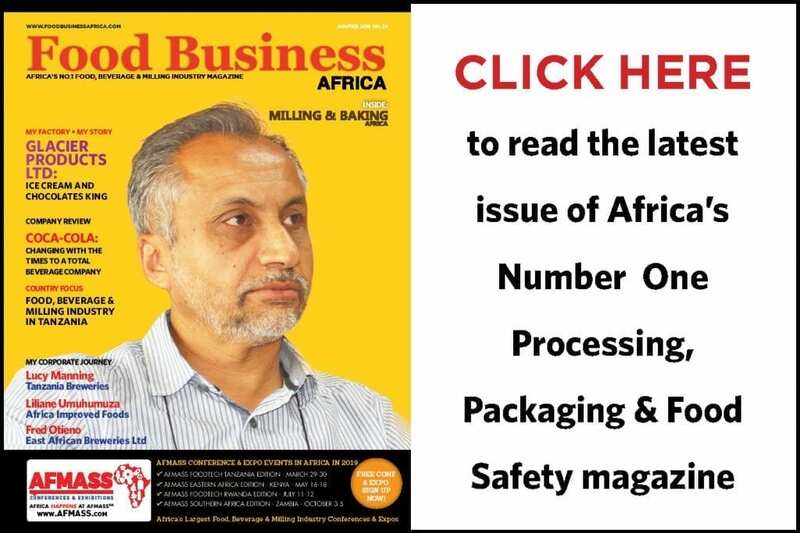 AB InBev, which owns Tanzania Breweries, the biggest brewery in Tanzania and Nile Breweries in Uganda, provides EABL with the biggest threat in its Kenyan and regional operations. “The way to deal with competitors is to be fiercely obsessed and deeply understand your consumers, and try to offer them products that cover every single price point, every single liquid type and every single format. If you do these things well, the consumer will vote with their feet,” Cowan advices, saying that EABL is well structured to meet the changing needs of consumers, who want both beer and spirits, and shall meet the challenges brought by the its rivals in the market now and into the future.